The placenta is an incredible organ that develops in a woman’s uterus during pregnancy. It plays a critical role in supporting the growth and development of the fetus by coordinating exchanges of nutrients and wastes between the maternal and fetal circulatory systems and by secreting numerous hormones. During pregnancy, she is advised to stay away from toxic chemicals, fearing that these toxins could cause birth defects. Placental dysfunction is commonly associated with pregnancy disorders that have been followed by toxin and pollutant exposure. 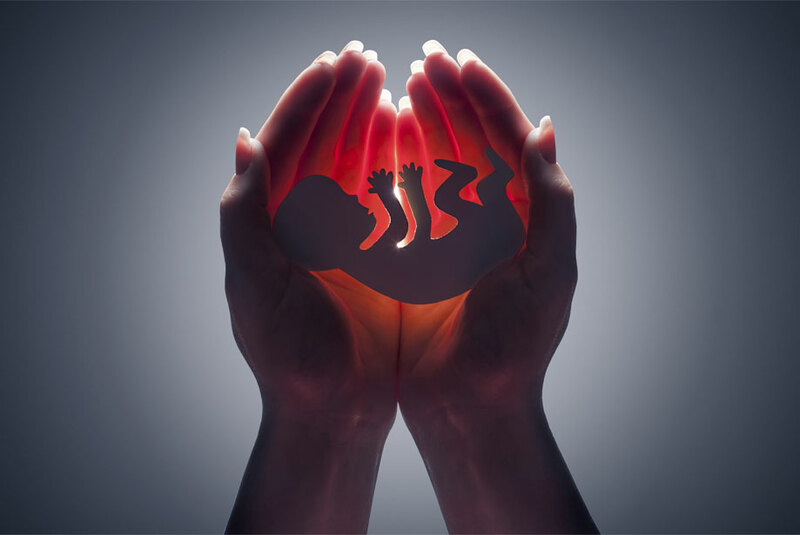 For this reason, it is important to consider the placenta as a target organ for toxic agents and not just as a barrier between the mother and her fetus. Studying the human placenta, however, is not an easy task, due to limited access to whole placentas. Human placental cell lines seem to be the best option due to their availability in human international cell banks. Benzo[A]pyrene (BaP) is a persistent environmental chemical that has been known to cause cell death and cytotoxicity. BaP finds its way into the body through inhalation of tobacco smoke or polluted air, or ingestion of food or water contaminated by combustion emissions. After entering the human body, BaP diffuses into cells and is absorbed by cytochromes. This is problematic, as BaP is classified as a human carcinogen by the International Agency for Research on Cancer. A study in Eastern Europe performed on 200 women with normal pregnancies detected BaP in almost all of the tested placentas. This shows that BaP finds its way into the placenta and is added to the maternal circulation until it reaches the fetal compartment (Gladen et al., 2000). Since BaP is a known carcinogen and can easily cross the plasma membrane, it important to investigate whether BaP could have damaging effects on the placenta and the fetus. In previous studies, BaP has shown negative effects on lung, liver and kidney cells. Using Enzo’s NUCLEAR-ID® Green chromatin condensation detection kit, researchers at Paris Descartes University investigated the effects of BaP in human ex vivo placental cells. To their surprise, BaP did not cause any cytotoxicity or apoptosis (Wakx et al., 2015). This finding suggests that placental cells have specific responses and protection mechanisms not found in other types of cells, which reinforces the idea that the placenta is a ful-fledged organ. Digging deeper into the response of placental cells to BaP exposure, they also looked at its effects on DNA integrity. It showed that incubation of human placental cells with BaP induced the phosphorylation of H2AX (a marker for DNA damage). γ-H2AX followed the induction of double-stranded DNA breaks, which can be an enormous threat to cells. In the event that these DNA breaks are not repaired properly, it could induce cell death and/or a rearrangement of genomic integrity, which could ultimately lead to cancer. DNA damage can also be associated with cell cycle arrest as well as decreases in cell proliferation. This could have a possible impact on pregnancy and fetal growth or cause long-term placental cell degeneration. Our bodies work tirelessly to protect us from the toxins that exist around us, but it is up to us to be aware of what could cause us potential harm. BaP, a common toxin that many pregnant women are exposed to, was identified as a harmful toxin towards placental cells and growing fetuses. However, the placenta still needs to be considered a ful-fledged target organ for toxic compounds and it should be included in toxicological studies to better understand the mechanisms underlying pregnancy disorders and complications. B.C. Gladen, et al. Polycyclic aromatic hydrocarbons in placenta. Hum. Exp. Toxicol. (2000) 19: 597. A. Wakx, et al. New in vitro biomarkers to detect toxicity in human placental cells: the example of benzo[A]pyrene. Toxicol. In Vitro. (2015) 32: 76.